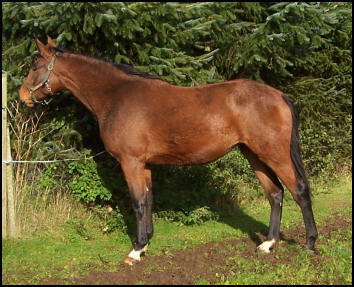 Blacklaw Laurentic is a homebred mare to mature approximately 16.3hh. 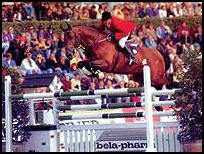 She is out of a Grade A Showjumping mare Honeybrook Lauranda and her Sire is the International showjumping stallion Lauriston. Lauriston sired 10 international horses from his first Dutch crop of foals including Ian Miller's Promise Me. For more information on Lauriston visit here. 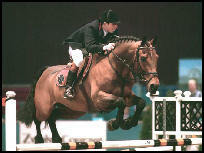 Laurentic is a tall powerful mare with a sensitive temperament and athletic movement. We are absolutely delighted with her and it is planned she will be produced for a showjumping career.